We are the leading manufacturer and supplier of Excavator Hydraulic Pump Parts which are extensively used in excavator applications. Our products are easy to use and have long functional life. We are one of the celebrated manufacturers and traders of a wide range of Excavator Hydraulic Pump. Made available in several specifications, these supreme functionality pump parts are highly demanded in the market. Before the final dispatch, our experienced quality analysts carry out several quality tests to examine the flawlessness of the offered range. 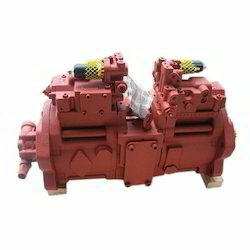 Looking for Excavator Hydraulic Pump ?